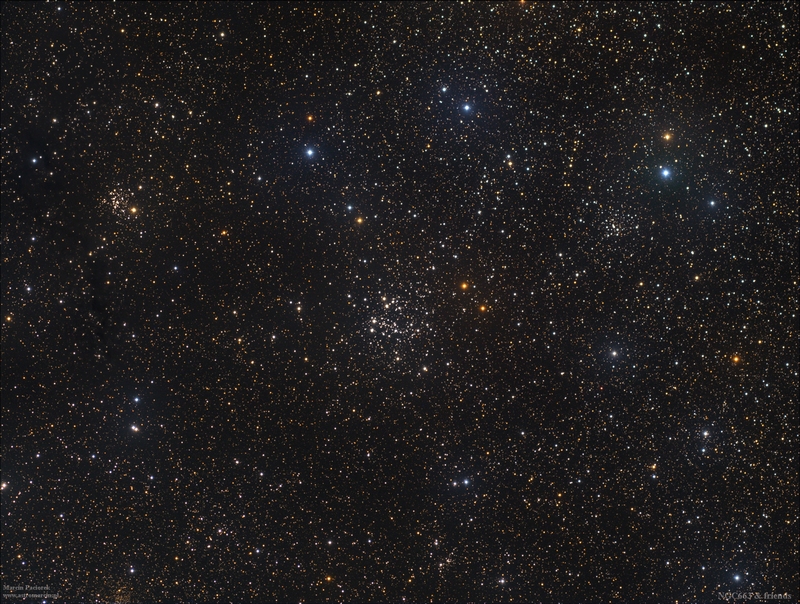 NGC 663 (Caldwell 10) - young open cluster of about 400 stars in the Cassiopeia constellation. 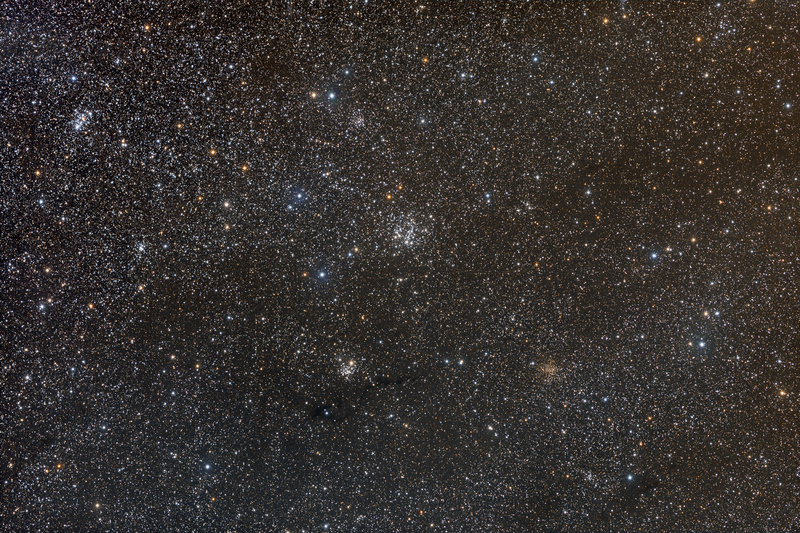 It has an estimated 400 stars. It can reportedly be detected with the unaided eye. 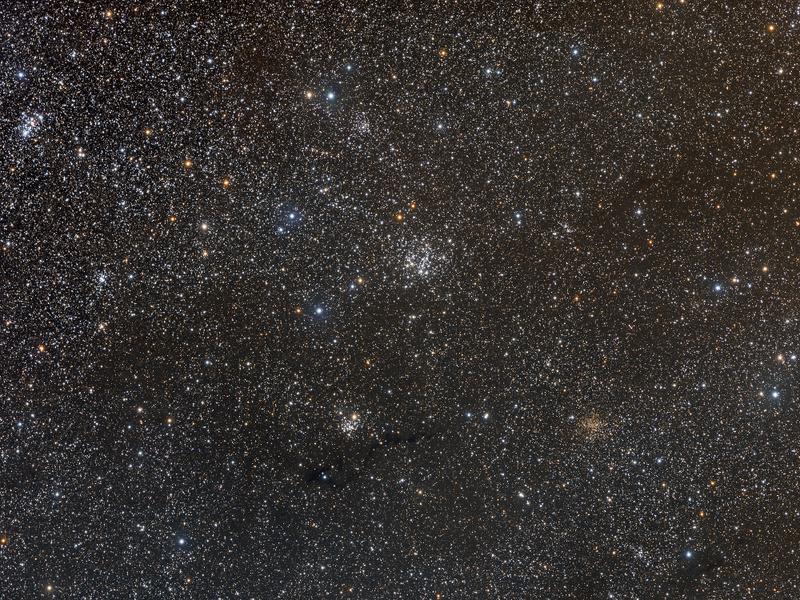 The brightest members of the cluster can be viewed with binoculars. 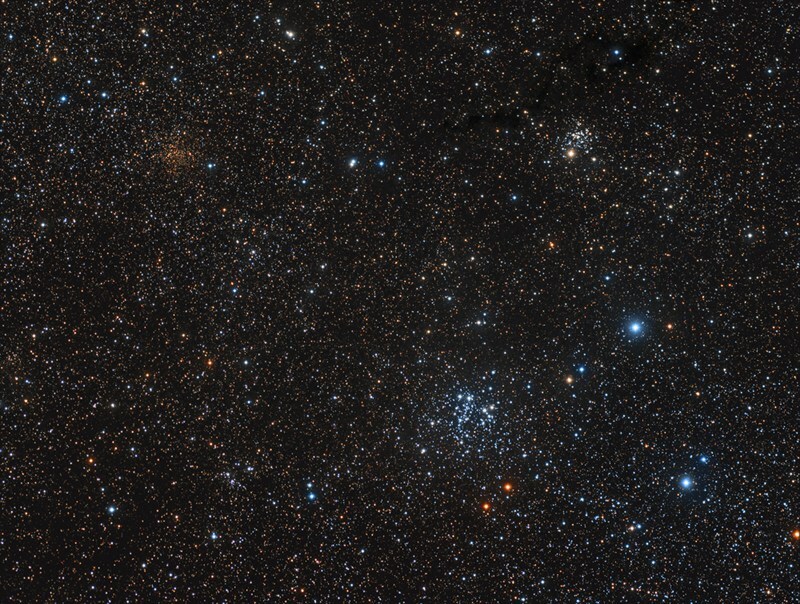 NGC 663 is assumed to form part of the stellar association Cassiopeia OB8, that is located in the Perseus arm of the Milky Way, along with the open clusters M103, NGC 654, NGC 659, and some supergiant stars scattered between them, all of them having similar ages and distances.